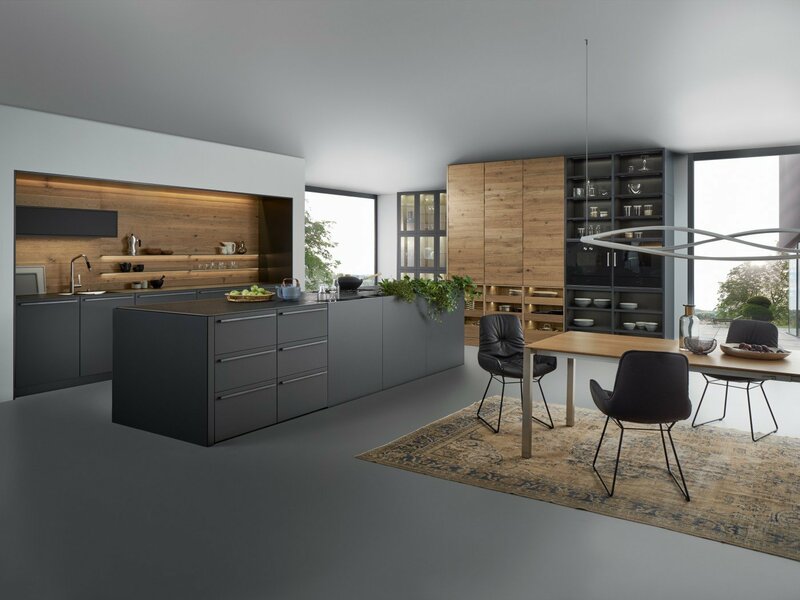 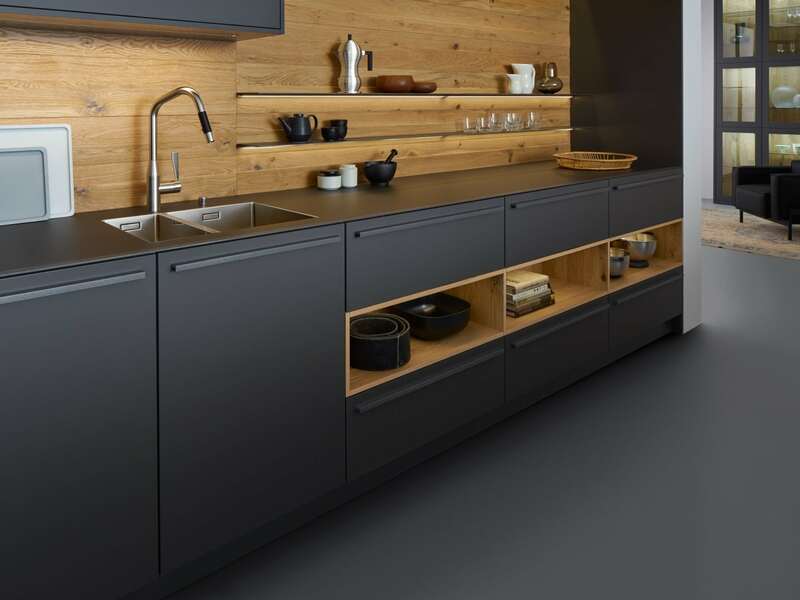 The Bondi Valais modern kitchen is one of the most popular Leicht kitchens and with good reason. 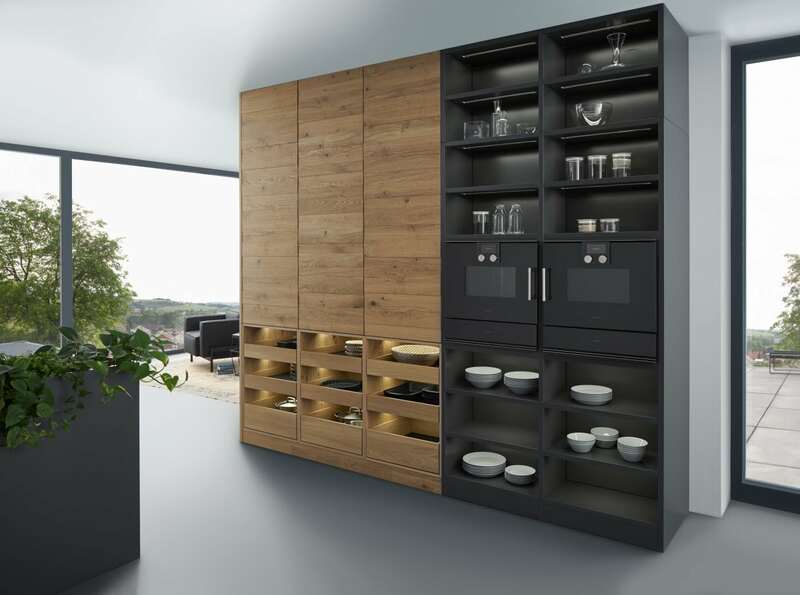 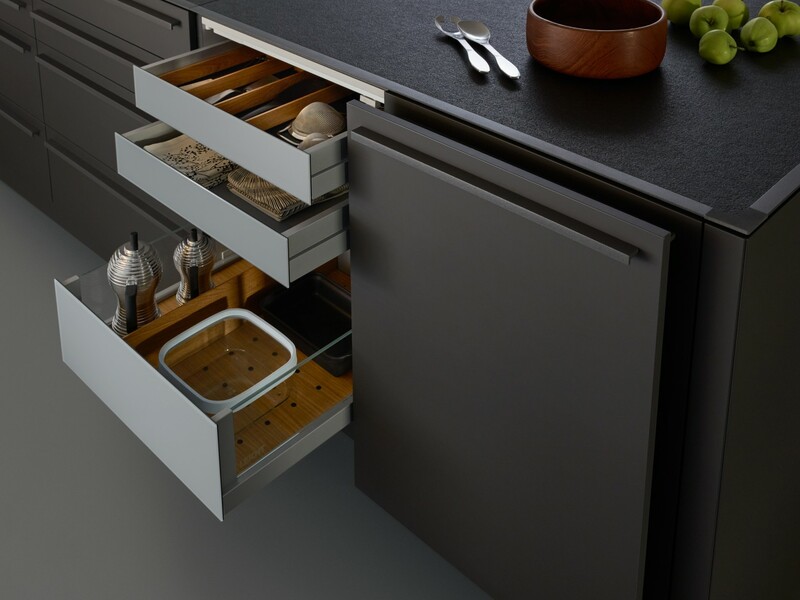 In the modern kitchen our customers want elegance, simplicity, functionality and easy maintenance. 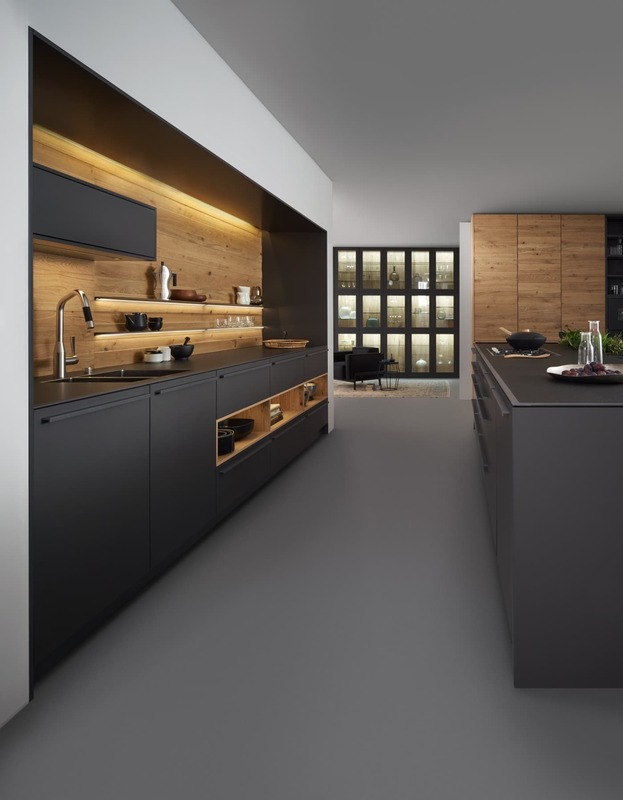 The Bondi Valais offers all of the above and much more. 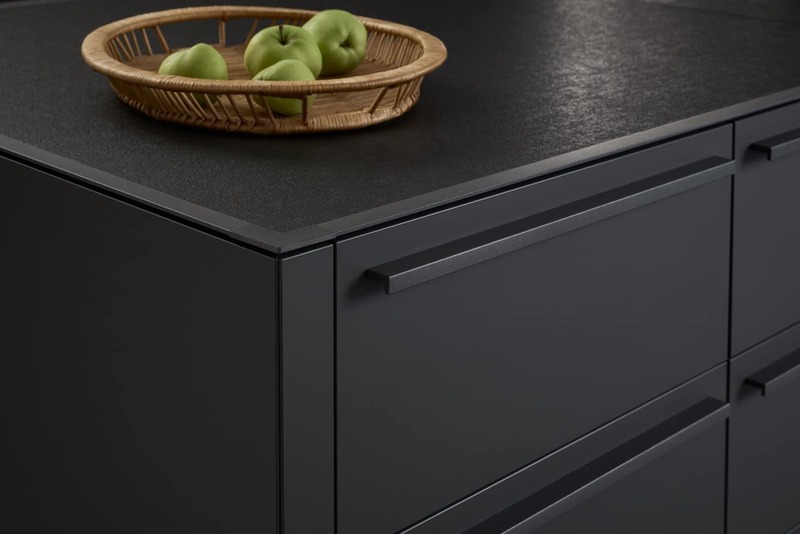 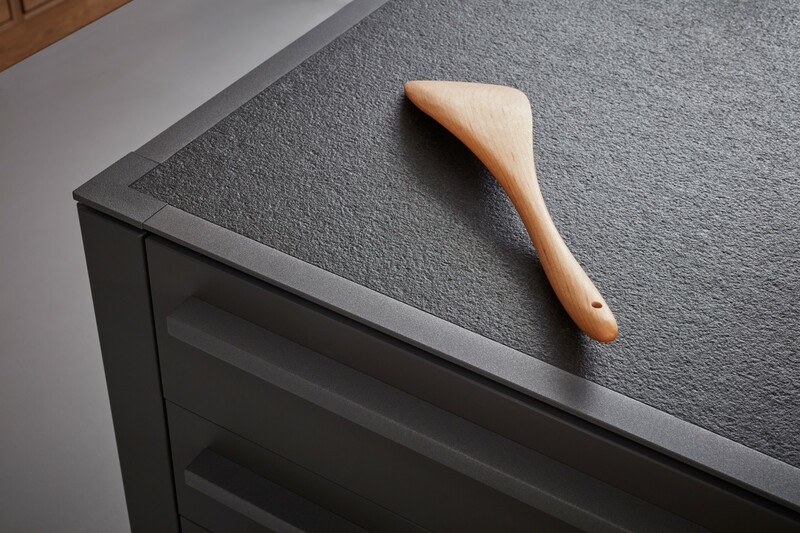 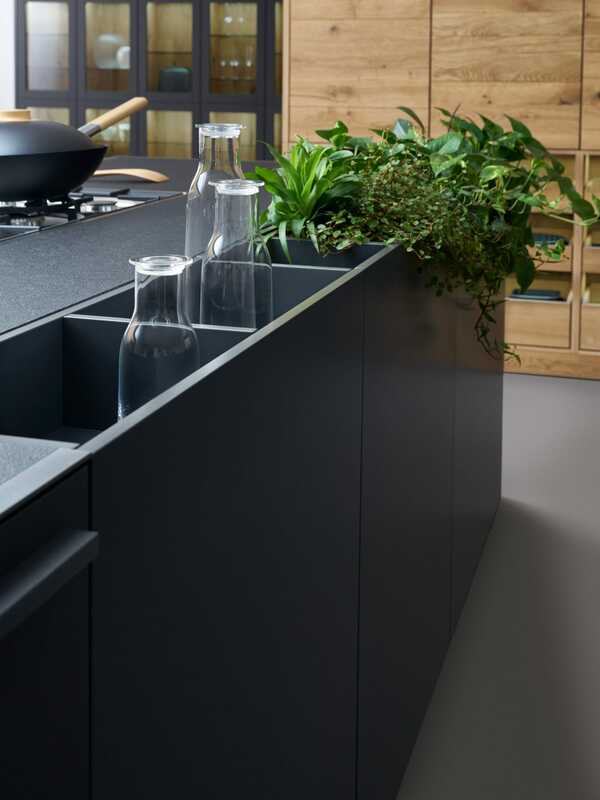 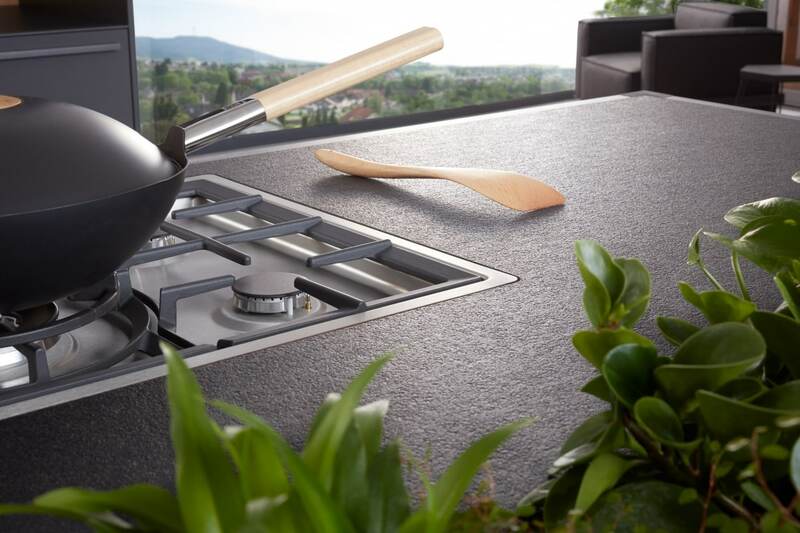 The Valais offers a seamless transition from worktop to fronts as the worktop has a totally flush finish with the fronts which not only helps with cleaning and maintenance but makes it look extremely chic and sleek. 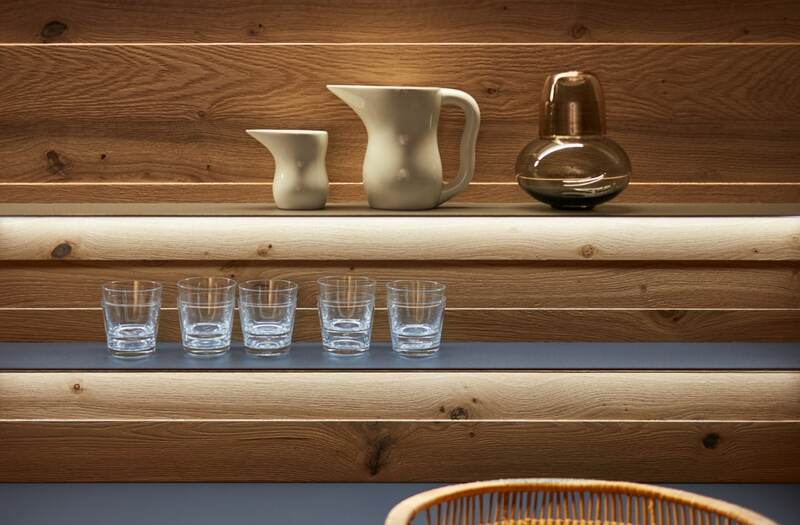 People these days want modern but everyone loves wood as well. 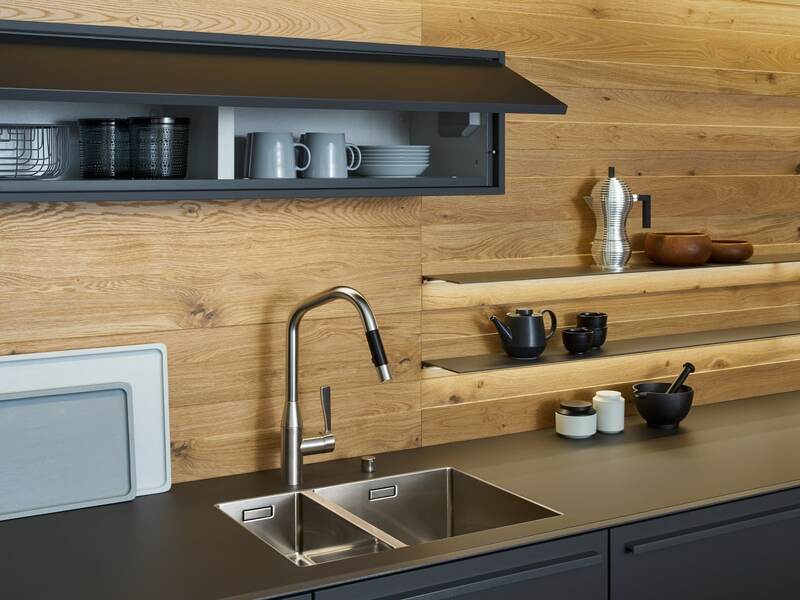 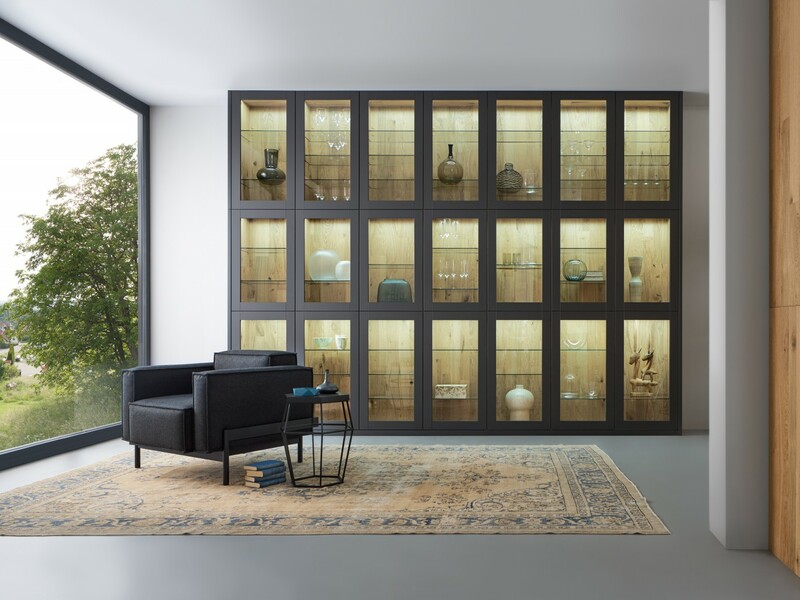 Do modern design, stylish finishes and wood go together? 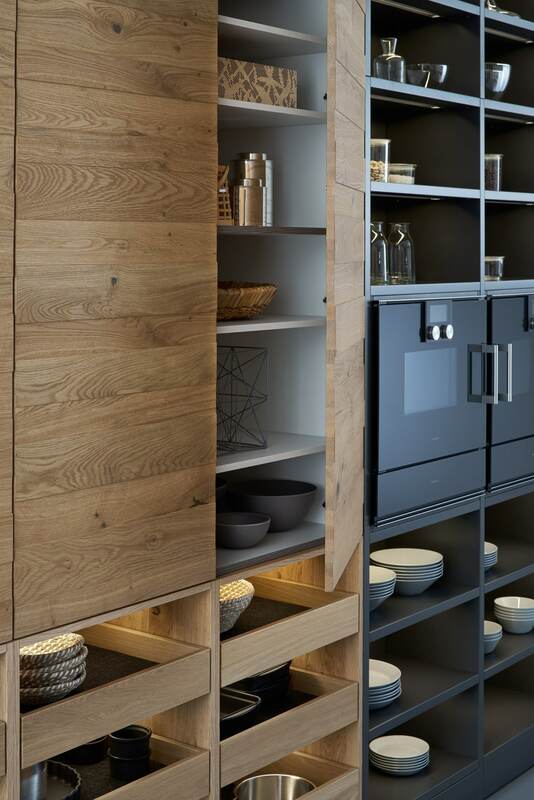 Well yes, as here the beautiful wooden finishes compliment the matt finish of the units. 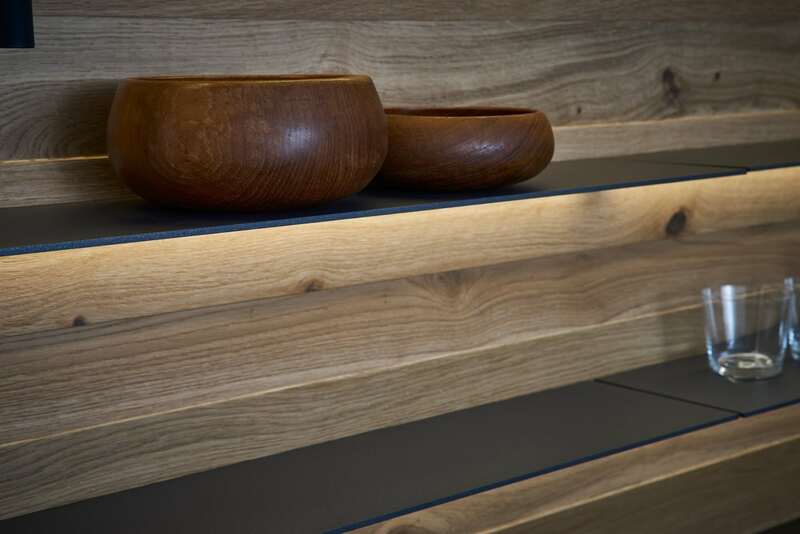 The contrasting tones go amazingly well together and offer the best of both worlds. 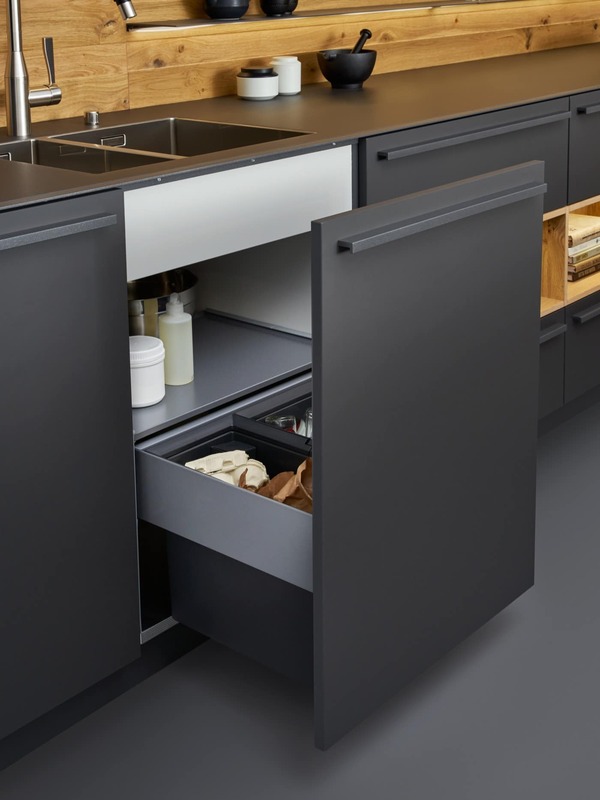 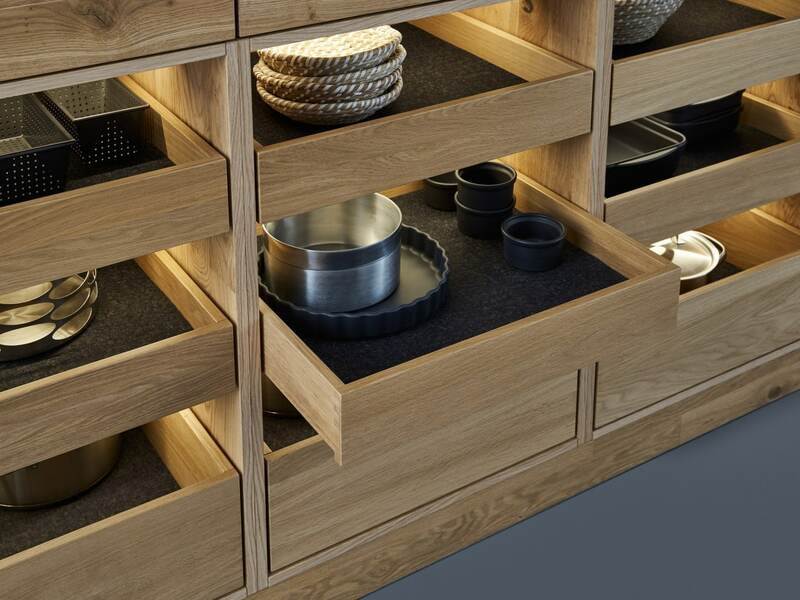 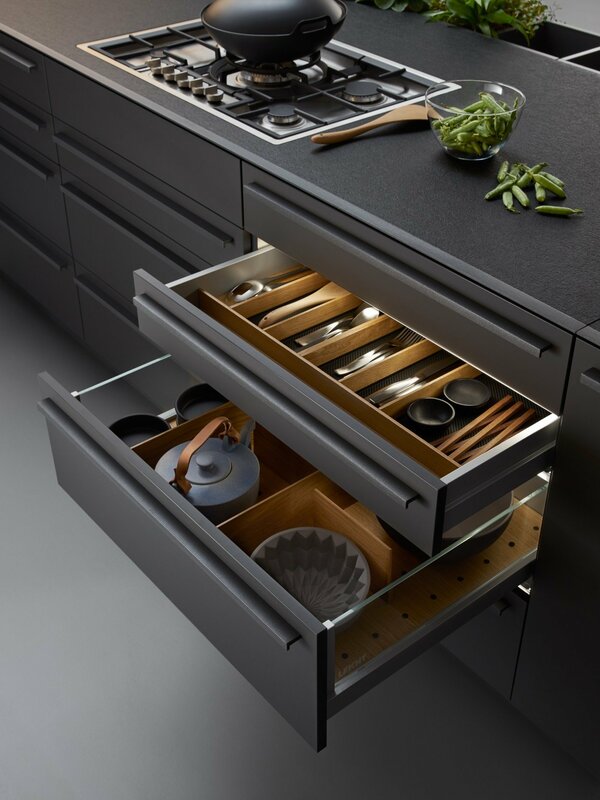 Add to that open shelving, clever storage, stunning kitchen islands and complete customisation and you could have found your perfect kitchen right here at Elan Kitchens in Fulham, London. 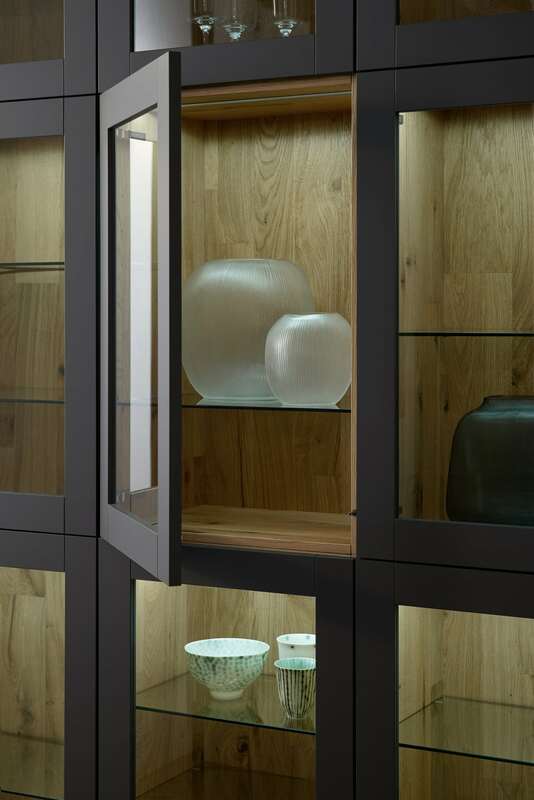 Pop into our large showroom or contact us by phone or online.